Black heads, white heads and clogged pores (pore problems in general) never seem to go away permanently. Even if you’ve had several facials or numerous DIY skincare treatments done, they still seem to reappear out of the blue. That’s why it’s important to choose the right pore strip. These strips need to be reliable, they need to fit comfortably on your nose/chin/t-zone, and, most importantly, they need to take out as many blackheads, whiteheads or clogging as possible. 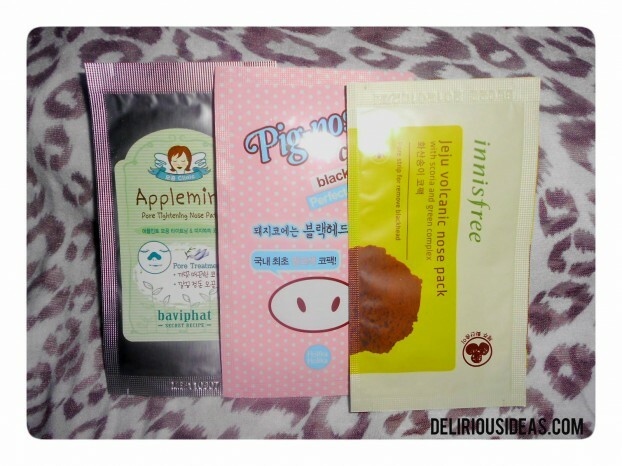 Today, we’re going to test just that using 3 pore strips from popular Korean brands. Why Korean brands you say? Well, skincare, cosmetics (and plastic surgery) is pretty big in Korea so these companies know what they’re doing. You’re probably going to be familiar with these brands if you’re a skincare buff (like me). We’re going to see if Baviphat, Innisfree and Holika Holika can conquer our Pore Strip Challenge! 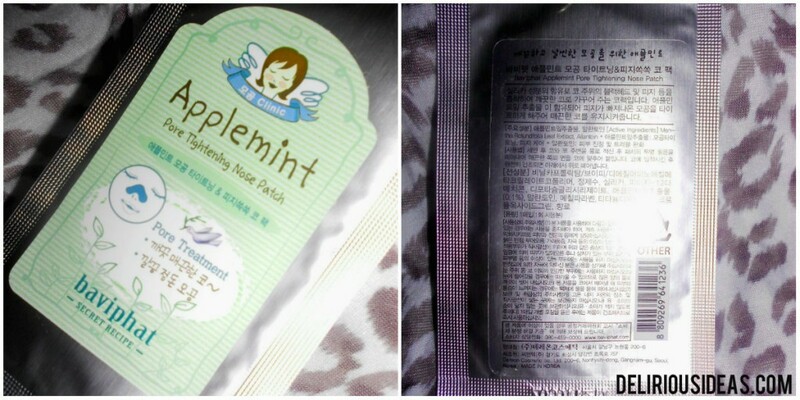 The Applemint Nose Patch from Baviphat seemed like you’re everyday, ordinary pore strip. It didn’t stand out even if it had “Secret Recipe” printed on it. I was pretty excited to try out the Jeju Volcanic Nose Pack from Innisfree because it’s been said to purify your pores with it’s ingredients. 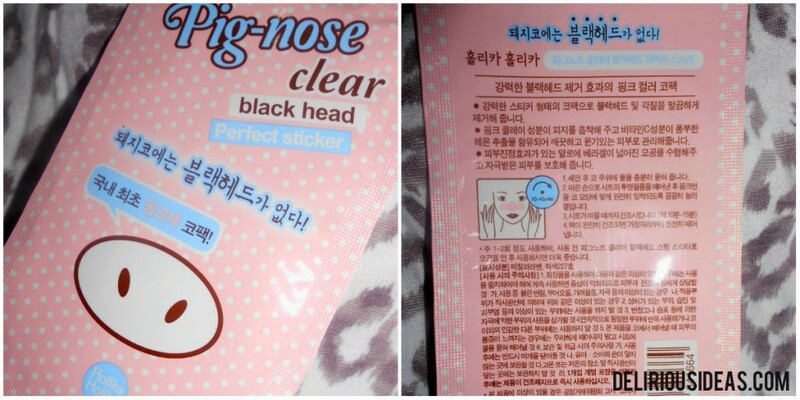 Pig-nose Black Head Sticker from Holika Holika, on the other hand, was pretty eye-catching because of the packaging. The only downside to these three is their labels. It would have been great to read what it says on their labels but almost everything is in Korean. This part may not be very glamorous. This, in all honesty, is what my pores look like. I didn’t put any make-up on, I didn’t edit anything nor did I apply whatever kind of filter on them. As you can see, everything — from my blackheads, to my whiteheads, to my enlarged pores — is pretty visible. I prepared my face by merely washing it with soap and water before applying every strip. I also waited a couple of days before testing out the next strip. Now let’s see how well these Korean pore strips perform! My first impression of this pore strip was confirmed when I stuck it on my nose. It felt just like the regular pore strips that I have been using. It stuck on pretty well, especially on the sides of my nose but what I didn’t like was the creasing. I made sure that I applied it smoothly but it still creased on me. When I took off the Baviphat pore strip, it left a bit of residue on my nose. I didn’t like that part either. I liked the Jeju Volcanic Nose Pack from Innisfree as soon as I felt it’s soft surface on one side. The shape was good for my nose and it was really easy to apply it on. I didn’t even need to put effort into smoothing it out. It didn’t crease on me which I was happy about. The upside to the shape was it’s versatility. You could apply this on your t-zone and chin area and it will fit just as well. The downside, however, is it didn’t cover the tip of my nose which still had several pores to clean out. 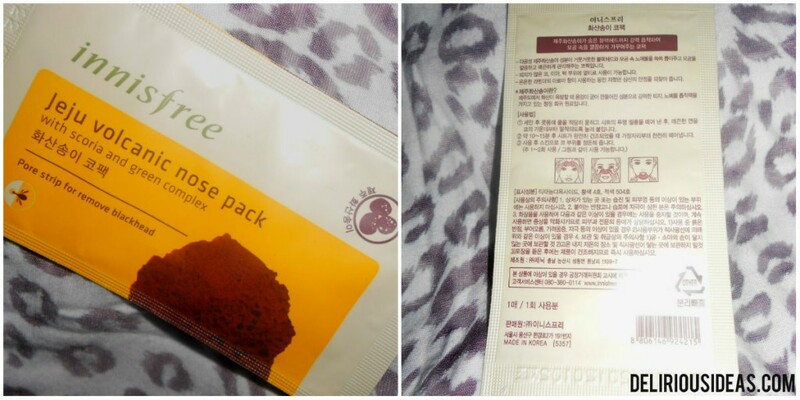 More about the InnisFree pore pack here. The Pig-nose Clear Black Head Sticker had the cutest packaging of the three. I was surprised to feel the surface of the non-sticky side because it felt so soft and velvety (softer than the Innisfree strip). To me, it felt like a really soft plush toy (weird, I know but it did). It stuck on pretty well. It also didn’t crease but I had to fold a small part of the strip that went on the tip of my nose so it could fit correctly. None — I didn’t really mind that I needed to fold a tiny part of it. The winner is definitely Holika Holika! They are probably easily available at your local stores or you could get them at Amazon. P.S. Check out our latest article: cheap DIY facial and pore cleansing routine!